“American Idol” — the show once known for being the pinnacle of superstardom, has struggled with the revitalization to its roots. The only episode of the season to be the top-rated program airing on television was the season finale, and even that episode reached nowhere close to the 10 million-plus which previous finales had, with, according to stats released by Variety.com, peaked on Monday night with 8.7 million viewers. So why has this show struggled to revive itself, reaching a smaller audience even with attempt outreach and marketing? The answer lies in the plethora of talent-centered competitions in modern media. When the first season of “American Idol” aired, the show was a pioneer in its genre. The first finale drew in a total of over 22 million according to the US Nielsen Ratings, and was a top show that summer on television. The show’s winner that year, Kelly Clarkson, went on to be a Grammy-winning artist, with songs such as “Since You’ve Been Gone” topping the Billboard charts. After its initial success, the show went on to produce season after season of talented singers as finalists. The alumni of the program broke the Guinness World Record for “Most Chart Topping Artists from a Reality TV Show” with prominent names in the musical industry such as Adam Lambert, Jennifer Hudson, Carrie Underwood, Kellie Pickler and Phillip Phillips. As a concept which has been proven to triumph without fail, it went without saying that copycat programs would air. And so they did, starting in 2004 with the first season of “X Factor.” The genre of TV competitions grew more versatile when the beginnings of “America’s Got Talent” started in 2006. The idea had spread internationally when the first season of “The Voice” aired in Holland on September 10, 2010. Once the idea of singing competitions became widespread, “American Idol” was hit hard with a steady decline of viewership to the finale starting in 2012, when the number dropped to 13.7 million. The show was eventually cancelled by NBC when the show’s viewership was so significantly low it resulted in loss of revenue. So when ABC announced their revival of the series in 2018, I was perplexed as to why the network has chosen the show. As the season has aired, the marketing has been almost unconventional, with celebrity judge Katy Perry giving a controversial first kiss to a contestant being one of the most viral and reported moments of the season. The contestants of this season have been almost cookie-cutter to reality TV competition. Finalist Catie Turner could be compared to Grace Vanderwaal from “America’s Got Talent,” and winner Maddie Poppe might as well have been competing on “The Voice” for she possessed the technique-based skill which that program is known for. Caleb Lee Hutchinson almost was a traditional competitor for the show, but his sound lacked the uniqueness which was the characteristic of former winners Scotty McCreery and Phillip Phillips. The pool of different competition shows has made the concept stale. And with the switch of “American Idol” from its home network to ABC has made the show lose its trademark of industry-dominating voices which it once pioneered. 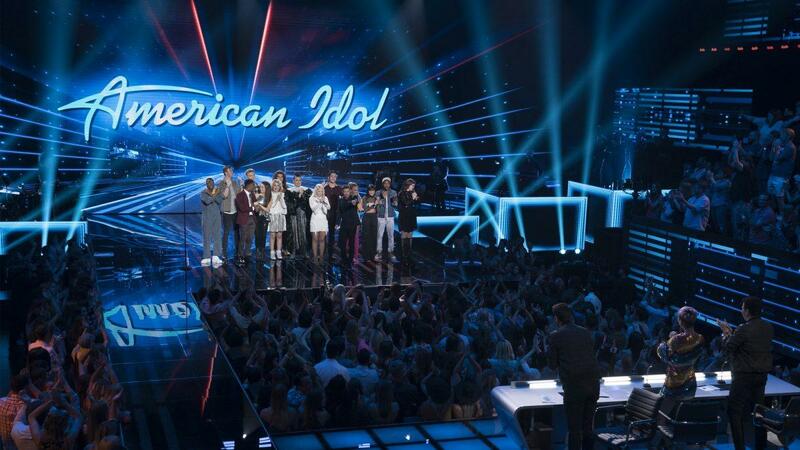 It pains me to admit the truth: “American Idol” has become just another reality TV competition.